Campey Turf Care Systems supply a range of Lastec products. Listed below is a small selection of the Lastec range, please get in touch to find out more about the full range available from Campey, please get in touch to find out more about the full range available from Campey, simply call +44 (0)1260 224568 or email us today. The 721XR is the original Articulator and the standard by which all other mowers are gauged. Mow with one of the most impressive mowing decks in the world. Imagine the perfection you will achieve with seven 21” (533.4 mm) decks. That translates to a 132” (335.28 cm) cut in one pass with the finish of seven individual precision mowers. Budget minded customers who own a tractor can pay a fraction compared to self-contained options. 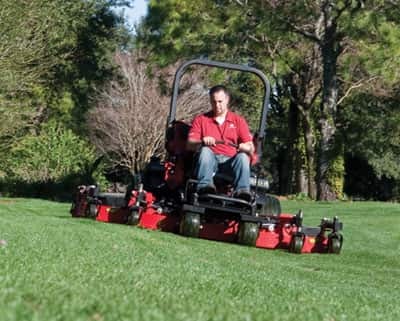 The 3380 Articulator is built to meet the rotary demands that range from golf course use to heavy commercial applications. This model is available with a 33hp Kubota turbo diesel. 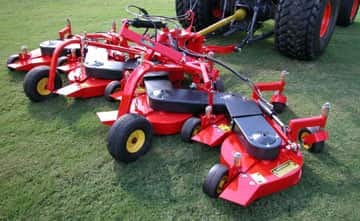 The unit also offers a 80”(203.2 cm) wide cut, utilizing four 21” (533.4 mm) articulating rotary decks and features a 20” (508 mm) side reach to reduce hand mowing and trimming near ponds or banks. The unit folds up to 70” (177.8 cm) for transportation on trailers and for crossing narrow bridges. 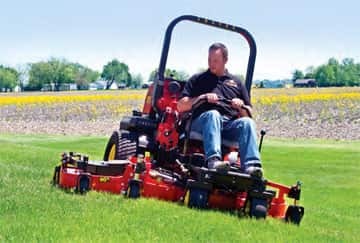 Four things set the Lastec 100 Series Articulators apart from any other commercial mower on the planet. First, these zero turn mowers cut 100” (2.5 M) of grass. Second, they cut that wide with the accuracy of a 21” (535mm) push mower. Third, the 100 Series Articulators can fold their outer decks with ease, reducing the transport width to 78” (2 M). Fourth, they can safely trim closer to ponds, banks, and other obstacles than other mowers with its 21” (508mm) outside deck side reach. They can be transported on a small trailer, cut over 8 feet (2.4 M) wide, reach under and closer to objects than other mowers to eliminate string trimming and hand mowing, and deliver all of that with the accuracy of a 21” (535mm) push mower. The 4520 is the largest of the Lastec Zero Turn Articulators which have deck sizes ranging from 61” (1.54mtr) up to 120” (3mtr) in width. The Lastec 4520 is the widest area ZT unit on the planet. Its 10 foot (3mtr) cutting width being made up of 5 fully articulating 25“ decks that deliver a cut quality matching that of a crew of five with push mowers and productivity levels matching mowers costing 50% more. The outer decks of this huge capacity mower can also fold to 88” at the push of a lever for easy transportation. The ZT 4520 burns half the fuel of any other wide area articulating rotary on the planet in part because Lastec’s patented belt drive systems are between 30% – 40% more efficient than their hydraulically driven competitors and the Zero Turn manoeuvrability accounts for the additional fuel savings by reducing the amount of non-productive mowing time wasted by conventionally steered alternatives . 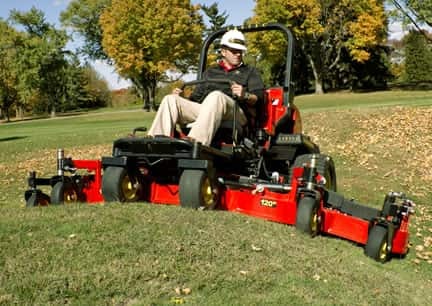 Also thanks to its 27” (68cm) side reach additional savings are made by its ability to mow closer to streams, ponds, over the edge of banks and ditches and other hard to reach turf areas that would otherwise require trimming and hand mowing labour.